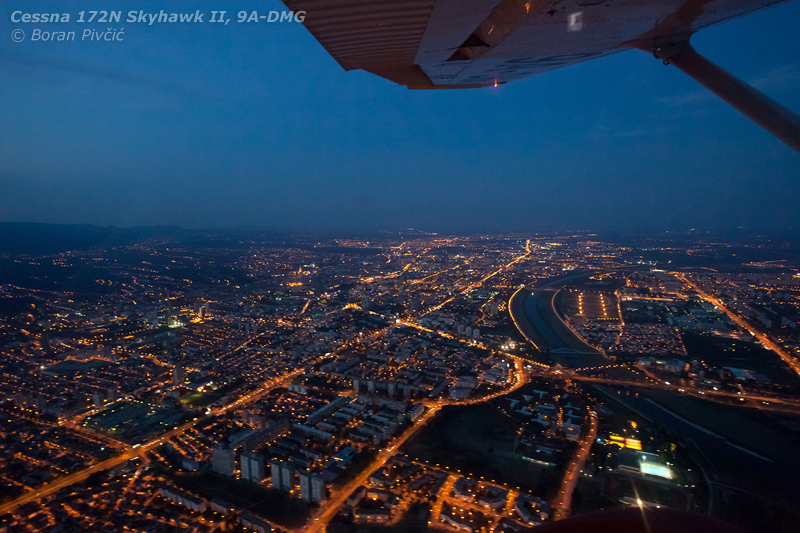 Photo Intermission – Night Flight: Having a Bit of Fun at Sunset | Achtung, Skyhawk! 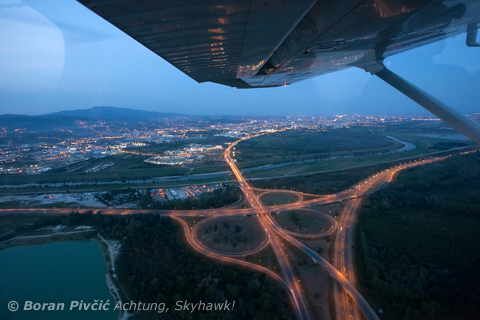 Overflying one of the city's main highway junctions, where two important routes to Middle Europe meet. 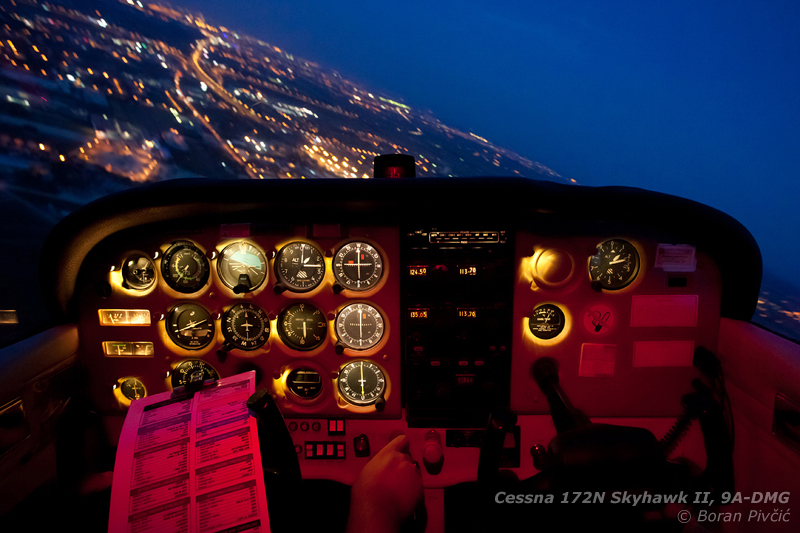 As you can see, our "sunset" flight turned into a non-event due to increasing haze in the distance, but we decided to make the best of it and enjoy some near-night photography :).